JUST PLAIN FUNNY! is a phrase used to describe his unique style. Vince’s fast paced, witty, and delightfully edgy blend of “loveable sarcasm and cynicism” keeps audiences laughing across the nation. With an east coast tenacity and a west coast sensibility, Vince delivers an unforgettable performance-all through his big Donnie Osmond/Eric Estrada pearly-white teeth. He is noted for revealing the hypocrisies, double standards and dysfunction’s of human behavior ranging from his family, ethnic stereotypes, Latino Sensations, Osama Bin Laden, Pepe Le Pugh, “The Religion of NASCAR”, to antidepressants, Vegans, The Suicide Traffic Report, and of course, relationships! Get ready to dial 9-1-1 because his social commentary will have you in stitches! Vince’s talents as an actor and voiceover artist are widespread. 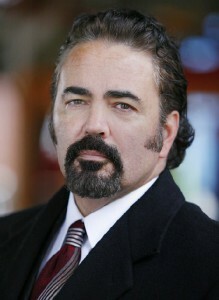 His credits include co-starring in the NBC’s hit series “Grimm”, TNT’s series “Leverage” with Oscar Winner Timothy Hutton as Boston cop “Joey Cospito”, he portrayed the abusive father Danny Reyes in the Indie film “Judas Kiss” and “America’s Most Wanted” playing Mexican Fugitive Mauricio Beltran-Trejo. He’s also appeared in national TV commercials for “Jack in the Box”, “Qwest” and “Money Tree”. His voice has been heard in many videogames including “Francis” the Zombie Killing Biker in Valve’s hot video game, “LEFT 4 DEAD”, Max McMann “The Devil’s Attorney”, as well as numerous TV and radio commercials. Vince has shared the stage with such comedians at Adam Sandler, Bobcat Goldthwait, Robert Klein, Paul Rodriguez, Richard Jeni, Howie Mandel, Jay Mohr and Carlos Mencia. His stand up gained national recognition from several television appearances including: Comedy Central’s Make Me Laugh and A&E’s An Evening at the Improv, HBO’s Loco Slam, USA’s Up All Night, Si’Tv’s “Funny is Funny”, Entertainment Tonight and many more. His CD’s “DERAINDAMAGED” and “Verbal Vigilante” as well as his latest DVD “Vin Shui” have received enormous praise and are played regularly on XM and Sirius Satellite radio. He’s also featured on the DVD’s “Latino Kings of Comedy” Vol. 1 & 2. Vince’s traditional, straight, no frills stand-up comedy is what his fans appreciate and what he delivers. He’s truthful to a T, entertaining, engaging, and if you have to label him, he’s JUST PLAIN FUNNY! Vince wants to see “you” soon! !